FRAMED PRINT. 22x18 inch (56x46cm) Framed Print with Black Satin with Off-White Digital Mat. Artwork depicting 3 FATIMA VISIONARIES. The three children, Jacinta, Francisco and Lucia, who saw the vision of Fatima in Portugal. Shipping from USA. Artwork Description... 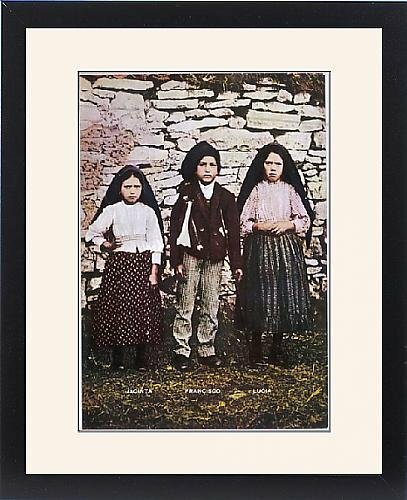 The three children, Jacinta, Francisco and Lucia, who saw the vision of Fatima in Portugal.